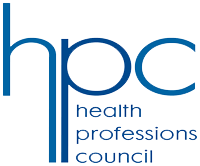 The Acupuncture Association of Chartered Physiotherapists (AACP) is a professional network (formerly clinical interest group; CIG) affiliated with the Chartered Society of Physiotherapy (CSP). The Association represents those physiotherapists who are interested in integrating acupuncture into mainstream physiotherapy for the management of pain and systemic conditions. Physio First is the Organisation which represents Physiotherapists in private practice launched in 1952 to promote the highest standards of clinical physiotherapy practice. can help them and to facilitate easy access to Physio First highly skilled members. In recognition of excellence in the field of customer communication.